If you need to get MORE out of life, OKTIS® Nutrition supplements can help. Our natural, caffeine-free products have no known side effects and have been proven time and time again to enhance and improve daily life. 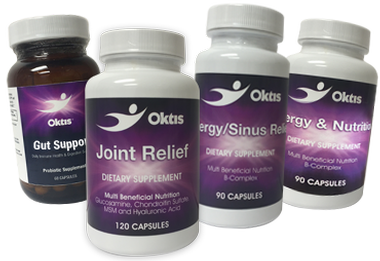 OKTIS® Nutrition has not been evaluated by the U.S. Food and Drug Administration. It is not intended to diagnose, treat, cure or prevent any disease or condition.